Join us for a sneak peek of the new show at a WVPB Family Fun Morning on Saturday, January 9 from 10 am to 12:30 pm at the West Virginia Wesleyan Performing Arts Center in Buckhannon, WV. The event is free and there will be lots of family nature themed activities. The special will will be available free on both pbskids.org and the PBS KIDS Video App. New related games, clips and full episodes will also be available on PBS KIDS’ digital platforms throughout the month. 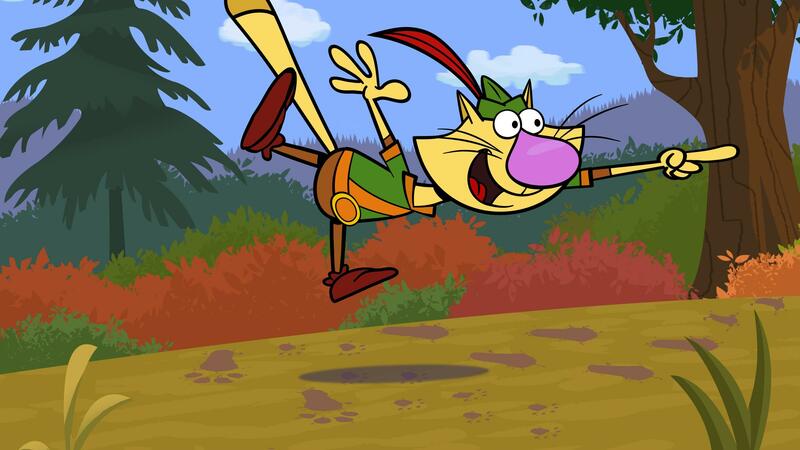 Grounded in a natural science curriculum, NATURE CAT is designed to encourage children ages 3-8 to go outside and explore the outdoors, while learning about a variety of scientific topics along the way. The NATURE CAT special will include four 11-minute stories with Nature Cat (voiced by Saturday Night Live’s Taran Killam), along with his pals Squeeks the mouse (Kate McKinnon), Hal the dog (Bobby Moynihan) and Daisy, a pet rabbit (Kate Micucci, The Big Bang Theory), as they embark on action-packed adventures, perilous missions, nature investigations and “a-ha” discovery moments. In each story, the characters model age-appropriate reasoning skills and explore natural science concepts, such as the role seeds play in plants’ life cycles and the types of wildlife found in various environments. NATURE CAT is co-created by brothers David Rudman (SESAME STREET, The Muppets) and Adam Rudman (Tom & Jerry, SESAME STREET, CYBERCHASE). The series is a co-production of Spiffy Pictures and WTTW Chicago. Major funding for the series is provided by the Corporation for Public Broadcasting (CPB) and the Van Eekeren Family, founders of Land O'Frost. Check out the all-new Wild Kratts World Adventure App for iPhone, iPad and iPod touch, a science-focused app based on the popular animal-themed children’s series. A must-have app for Wild Kratts fans, World Adventure is now available only on the App Store.